It’s bizarre to see the bump and then to look at Heath now. I was looking through my photos and Annabelle started taking about the baby in my belly. It’s times like that where I wish I could know how she’s feeling and what she’s thinking. I’m so glad I have the pregnancy updates to look back on and see how I was feeling as well as the size of the bump. 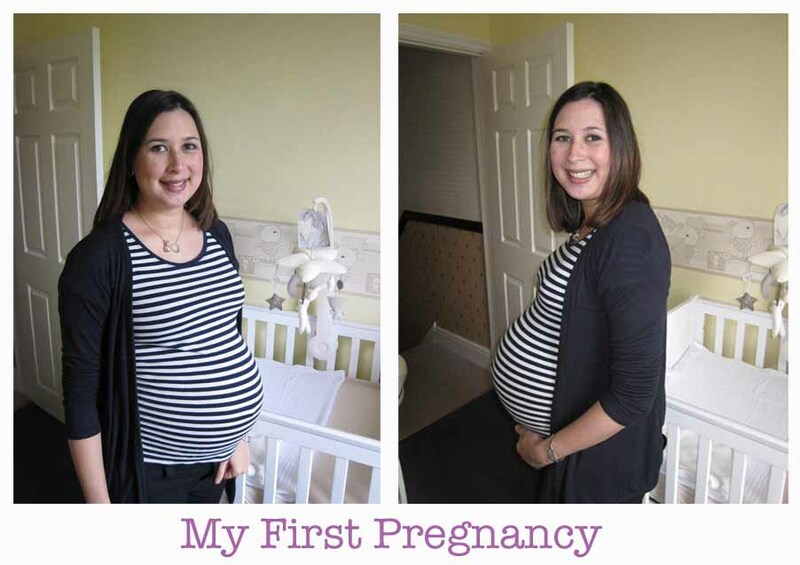 It makes me wish I’d discovered blogging before I had Annabelle so I could compare the two pregnancies. Looking to the future, it does make me a bit sad to think that I’ll never have anymore children. Annabelle keeps talking about having a sister but Andy and I don’t think we should have anymore kids for several reasons. The first and most important factor is my health. I really struggled with sickness in the first trimester. I’ve also had two really difficult labours which both resulted in emergency caesareans. 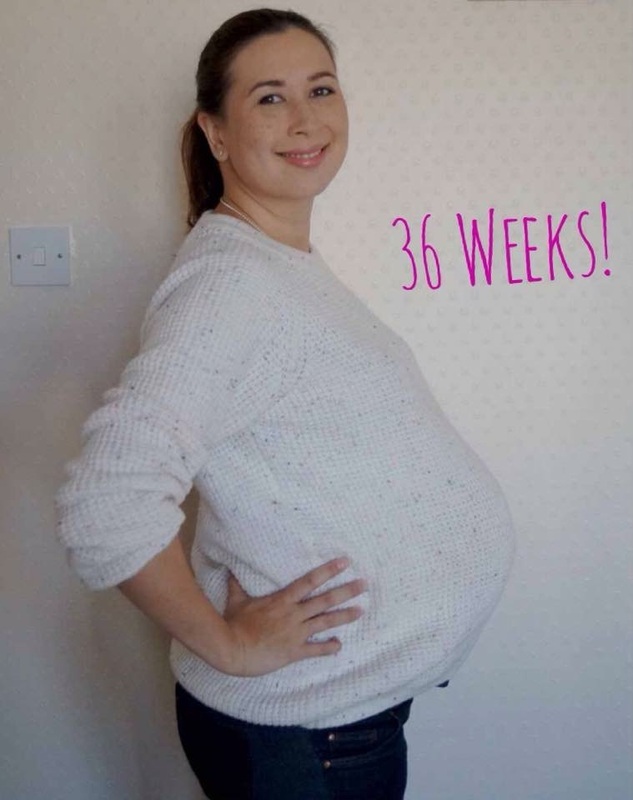 My Pregnancy Journey: Trimester Three! The last trimester with Baby no.2! My husband and I don’t plan to have any more children so this will be the last time I experience pregnancy. Trimester One was awful because of my severe morning sickness so I’m glad I never have to feel like that again. Trimester Two felt like it was over way too quickly, which is a shame as it was quite pleasant. Trimester Three has been ok except for the discomfort, aches and pains. So the bump has felt pretty big in Trimester Three. Unfortunately, it hasn’t looked very pretty as I have had silvery stretch marks around my belly button, which like last time has popped out! I’ve also gotten quite veiny and they are dark purple too so very visible. The only positive is that the dark vertical line, Linea Nigra, hasn’t been as prominent during this pregnancy. The shape of my bump is very different for this pregnancy. In my last it seemed more spread out but this time it seems to be more pointy. I think that’s mainly as baby likes to lie at the very front of my belly with his spine on the outer outside. In my last pregnancy, I seemed to gain a lot more weight all over. My fingers and ankles were a bit more swollen as I couldn’t wear my rings in the second trimester. As you can see in the pictures above too, my face got a bit chubby. This time, there have only been two days so far, where my wedding rings have felt a bit tight and I haven’t really put on weight other than my bump. In terms of health, I suffered with morning sickness with both pregnancies but last time I was only ill in the morning and at most I was sick three times on one or two days. I could function well enough to go to work every day and towards the end, I only had a few noticeable Braxton Hicks in the last few weeks. With this baby, I have had such bad morning sickness that I needed to take medication and I have had strong Braxton Hicks from about 20 weeks.